Shawn licked a handful of gravel, spat. He held a lantern to the grit. "Marble and mold" he said, licking his palette. "We'd best watch out." He scattered the tiny stones. They clattered on the cavern floor. "Aye" replied the bearded Dole. He produced a small cage from his hide caver's jacket, handed it to Shawn. 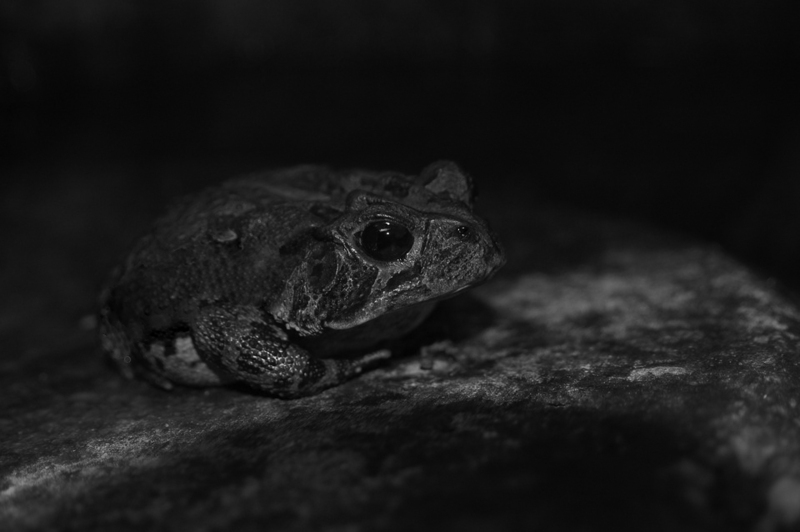 A thumb-sized, battered toad squatted inside, throat fluttering. Its watery eyes shone in the lantern light. Dole pulled out a second, shook it to make sure it was still alive. Cages extended, the cavers crept onwards, watched their toads intently. Their footsteps crunched on fine gravel and reflective slivers of bone. The passage walls were oblong, shiny, and grey; spotted with the broken, tan nubs of stalactites. Often, the level floor slipped sharply to one side, formed a treacherous, dark slide. Splashing water could be heard not far below. Shawn sniffed, slowed. "Hold up" he said. He dropped to his knees, shimmied under a gap in the wall. Dole heard him grunt, satisfied. "Come on. Follow" Shawn said, looking behind. The lantern made his eyes into flat, white disks. "But watch your step. It's wet." Dole squirmed into the nook. Dewy gravel crunched gainst his knees. Shawn thrust his lantern into the dark. Little yellow pinpricks glittered some three meters into a steep downward crawlspace. Shawn turned to dole, teeth sparkling. "Know that smell anywhere" he grinned. Dole rubbed his tired eyes, squinted into the dark "Don't look too hard to access. Could be easy money, if it's safe." "Aye" said Shawn. He pulled his toad cage out from under him. With a flick of his wrist, he rolled it into the crawlspace. The little toad flailed, peeped shrilly. Shawn kept his light on it, rapt. "Come on, big money" muttered Dole, face screwed up. The cage slowed, rocked, and stopped. The prospectors squinted at it. "Balls" said Shawn. Dole pounded his fist. Inside the thin tin bars, the toad had disappeared. "Well, this is utter gobshite" said Shawn, scrambling to rise. "S'nothin' we can do about it, mate" said Dole, scrabbling on the wet gravel. "Bloody hole ain't worth the rights." Dole had slipped. Flat on his back, he began sliding into the crawlspace, conveyed by wet gravel. He kicked his heels against the stone. "Dole!" Shouted Shawn. Dole slid past the tin toad cage, saw gold flash past his head. His ears popped. The air thrummed, a single basso drumbeat. Abruptly, Dole hit stone. He lay still, stunned. A shrill peep sounded by his ear. Dole pulled himself to an elbow. He felt about blindly, reaching in blackness. The floor was dry, smooth, and cold. Another peep met his ears, this time farther away. He rummaged in his coat, produced a candle and lighter. Sparks snapped. Dole gasped. Yellow stars flashed overhead and beneath his feet, illuminated brilliantly. Streams and dots of gold, twinkling in the stone. To either side of him, there was nothing but blackness. He stood on an open plain of stone. Where he should have emerged from the slide, there was naught but a pillar of stone, so tall as to touch the gilded ceiling a hundred feet up. A loud peep stopped Dole's ogling at the gold. He looked down, saw his tiny, battered toad beside its cage. Its eyes shone red in the candlelight. It turned and hopped softy into the dark. Dole surveyed the blackness. He shivered, followed into the depths of the Underworld. Beneath the Coast lies a black and trackless reach. An alien realm of endless stone and fathomless caverns where light has no lease. This sunless hell is known as the Underworld. No shallow, mundane cave will yield passage to the Underworld. 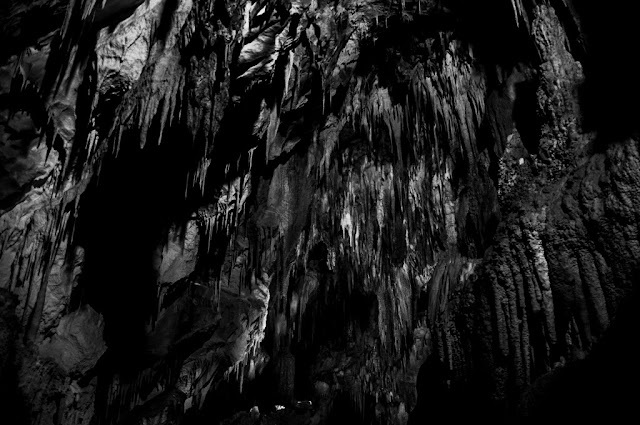 Only the deepest caverns and most ancient corridors connect to its depths. When a person approaches a connection, known as a gate, few traces indicate their imminent passage. Two chief traces are most easily observed: Firstly, Underworld gates occur only within a frame, such as the interior curve of a tunnel. Thus, gates are invisible, but never occur in a space without bounds. Secondly, the depth at which gates appear is similar to the depth wherein marble is usually found. Delvers in the ground, be they spelunkers, tomb raiders, or prospectors, are wary of the Underworld. The deeper they trek, the easier it is to idly stroll into fearful subterranea. Once a person enters a gate, there is no turning back. This is so, as the Underworld is an incongruent reality. Phenomena or structures which exist in the World (such as a gate) are unlikely to exist in its sunless counterpart. Additionally, distance and direction have little sway in the dark. If a person does manage to escape the Underworld, there is no telling where in the World the may emerge. To avoid becoming irrecoverably lost, delvers carry a clever instrument: a caged mince toad. Mince toads are small, bug eyed, puce amphibians which exhibit a special sensitivity to shifts in reality. They function precisely as a canary would in a coal mine. If the toad disappears, the wielder is dangerously close to an Underworld gate. Mince toads are easy to breed (if fragile) and are a crucial safety measure when venturing deep in the world. Though the Underworld is a reality with neither surface nor sunlight, it possesses heat and water aplenty, allowing a queer brand of life to thrive. Flora and fauna of magnificent scale and great hunger grow in the dark. Greatest among fungi is the Shimmeling, an ancient organism of inconceivable scale. The Shimmeling's grey, oozy tendrils pervade the Underworld. They seek food with sick, slow patience, drawing any and all nutrients into the pulsing, fleshy digestive tubes which make up the mold's web-like, continental body. So powerful is the Shimmeling, its tendrils are capable of penetrating the Coast (erroneously dubbed the Overworld), opening gates between worlds. Other burrowing monsters include giant land worms: Hundred-foot beasts which mindlessly ply the stone with circular rows of corundum teeth, creating meandering, tubular mazes. Worms feed on mushroom forests (which may span miles) and on the tendrils of the Shimmeling, on which they grow fat and strong. Small species of worms also carve the Underworld. In soft stone, arm-length gnawers drill holes in the sides of passages, ready to spring out and bite passing creatures. Many dozens of these worms may lie in ambush in a single tunnel, making for a veritable minefield of worms. 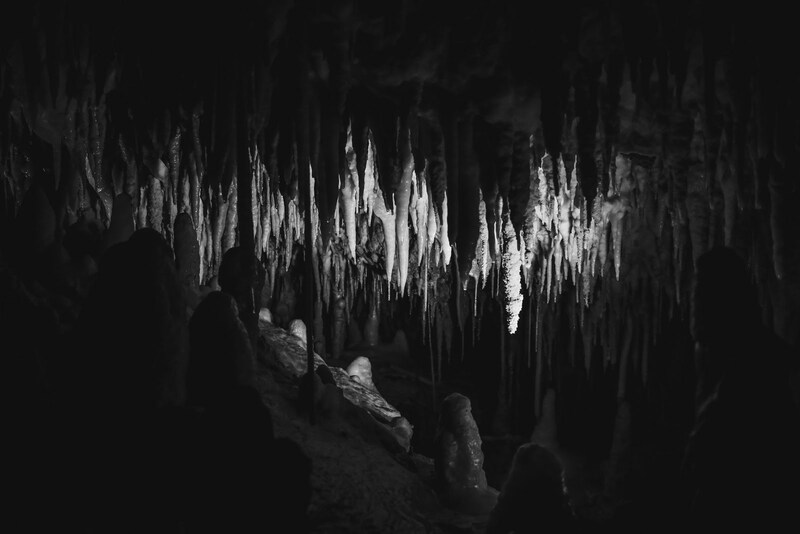 The Underworld is host to an uncounted number of subterranean seas. Though many of these waters are naught but dark and inky leagues of bacterial soup, some are places of light. In caverns the size of countries, with stalagmite the width of islands, deep waters burn blue and green with bioluminesce. Creatures like beating hearts swim in schools through the glowing slough, feed from blind, whale-like beasts whose slow thoughts ponder the millennia. On these black waters, there is no reckoning of direction. Neither compass nor starlight exist to guide the lost. If a sailor on an underworld sea is truly lost, their craft may slip from the stygian wash entirely. A twinkling may appear where once was void. They may find themselves sailing under another world's stars. No human civilization makes its home in the underworld. The creatures that do are among the most wretched, eccentric, or devious beings to exist. Leagues of ornate marble halls, catacombs, and holds lay in the unbroken dark. These are works produced by the idle hands of dvergr: Small, mole-like men of strange purpose. The dvergr are native to the underworld. Excavation is their craft. They break the stone in search of their buried brethren. The great works and halls they craft are merely the product of spare space, stone, and time. That, or a place to hold their honored, sleeping dead. The dvergr, though uncooperative and equally uncommunicative, are hostile only if they believe someone aims to harm their excavation operations or rob their tombs. In fact, given alcohol to trade, a dverg may even be helpful. Dvergr are one of the few peoples to have knowledge of reliable, stable gates to and from the Otherworld. They may be willing to disclose the location of these gates, thought they are loth to do so. Degenerate fiends from the Coast have made their way to the underworld, fleeing the brightness of the sun. Among them are flesh-eating ragwretches: Gross hybrids of crooked body and mind. A mutation in their cursed line causes the flesh of all ragwretches to burn in sunlight. Many cunning wretches have fled the Overworld to pursue a life of freedom in the depthless underworld. Terrible things lie hidden in the Underworld. Fields of bones lie in halls of fathomless scale. Stone walkways loom, unsupported, above them. Above even these, hooks hang from hundreds of feet of black chain, still grasping the desiccated collars and hips of dangling grues. 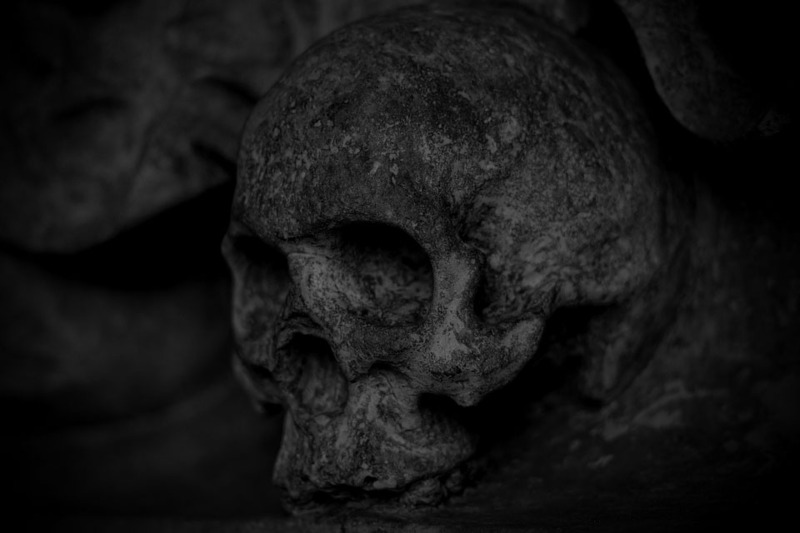 Beyond these silent halls lie huge, bulbous, gluttonous black cauldrons, caked with ancient, dried gore. Twisted, weird chimeras prowl these arcane and inconceivable chambers, fueled by the terrible half-life of Sorcery. In three-meter stone sarcophagi sleep the masters of these occult facilities: Naussians, great Sorcerers of an age long past. They lie, still drawing slow, ammonia-laced breath through their beaked helms, in a deep and ponderous slumber. Their sleep is nearly at an end. Many have already awoken and lit their black cauldrons anew. The Naussians will, after millennia of sleep, emerge from their Underworld fastness and seize the world of Humanity; the world to which they used to belong. This has been the starting place for many tales. Since this article, the dvergr, the shimmeling, and ragmen have each earned their own words. More to come.